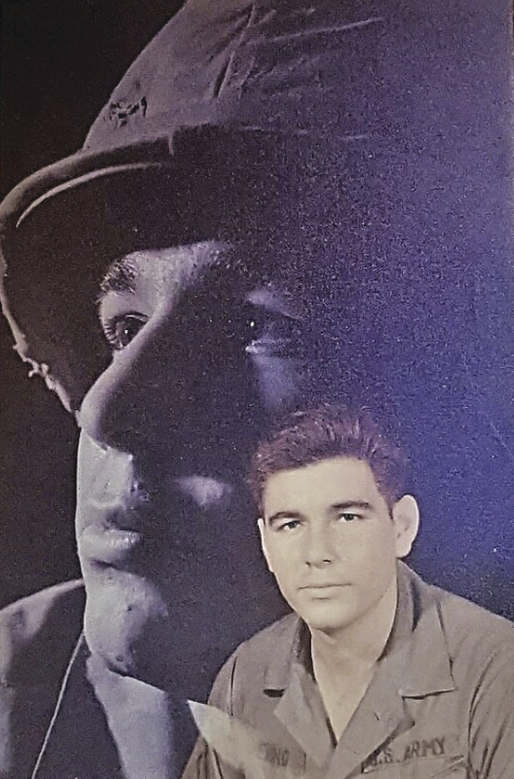 EDINBURG — For Army veteran and former sergeant Lupe Treviño Jr., remembering his time in Vietnam comes with highs and lows. 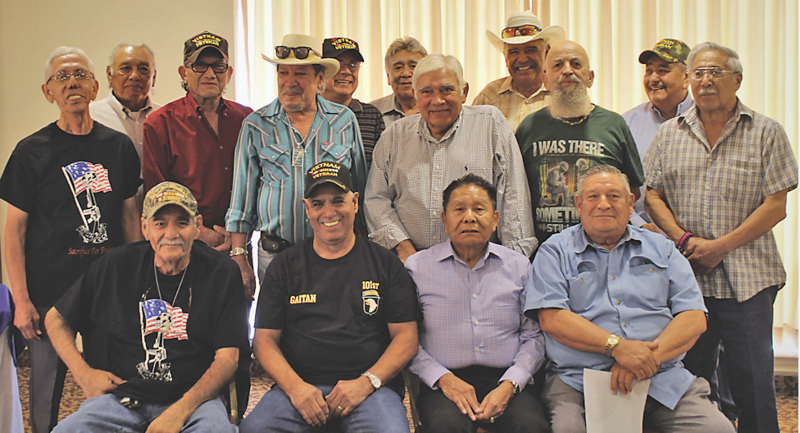 The 70-year-old Edinburg resident, originally from Kenedy, Texas, was one of 15 veterans and their families to attend the 50th anniversary celebration reunion at the Echo Hotel. The gathering was hosted by Sgt. Francisco Barrientes of Edinburg. The attendees wore black shirts with an American flag and lettering that read “Sacrifice for Freedom” on the front, and a pictorial of military boots on the back. Treviño said he was just 19 when he was drafted to Vietnam in 1969. Draftees served only two years with this group in particular, beginning their journey Aug. 5, 1968. He attended basic training in El Paso, then moved on to advanced training to be a supply clerk at Fort Huachuca, Arizona. Treviño was stationed for a year in Vietnam and was a supply clerk for 168th combat engineer battalion. After returning to the states, he was placed at Fort Benning, Georgia, to finish out his final five months. During his time in Vietnam, he explained that he was a traveler through various cities. In addition to being a supply clerk, he was in charge of weapons as well. Treviño added that his war experiences are something he usually never speaks about publicly, only to his wife, Esther, who he has been married to for 47 years. He said he knew he was going to marry her since the age of 5. While he was in the army, most of his communication was through writing letters. Once the letters arrived to his home, the mailman would give the letters to his mother personally as she was expecting them. She would say, “¿Que dice mijo? What did he say?” The mailman would respond that he was OK. The written notes would occasionally be six-pages and were meant for Esther, his girlfriend and neighbor that his mother hadn’t figured out while he was overseas. He also explained that one time he was able to call home while standing near artillery since they were shooting day and night. “I called home and she said, ‘You OK?’ I responded, “Yes, mom, I’ll be home soon,’” he said. After leaving the service, he worked for H-E-B and the U.S. government. In his spare time he was involved in several sports including serving as a basketball referee. He is now retired and spends his time with his wife, three children and grandchildren. The veterans and their families spent the afternoon enjoying a warm meal by the hotel while they retold stories and shared experiences.